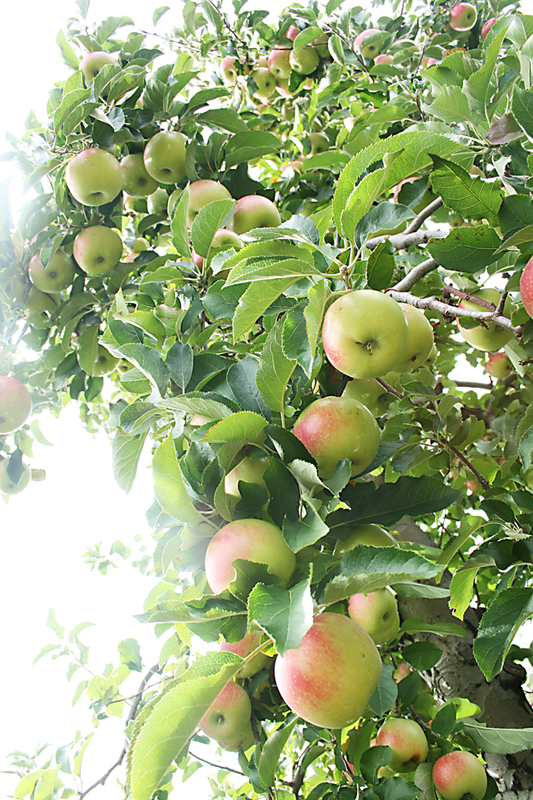 The apples are ready to harvest! Fall is one of my favorite time of year, and it all begins with apple season. 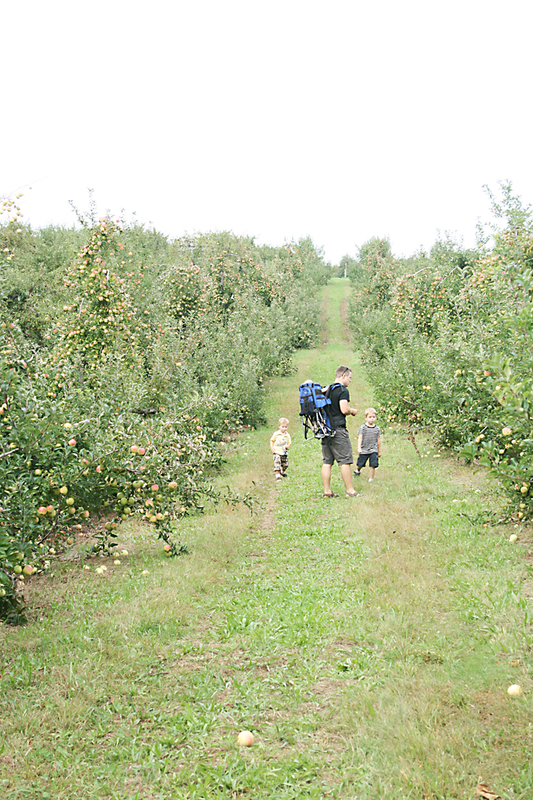 The last two weekends we’ve been busy picking apples at the orchard and then processing them. 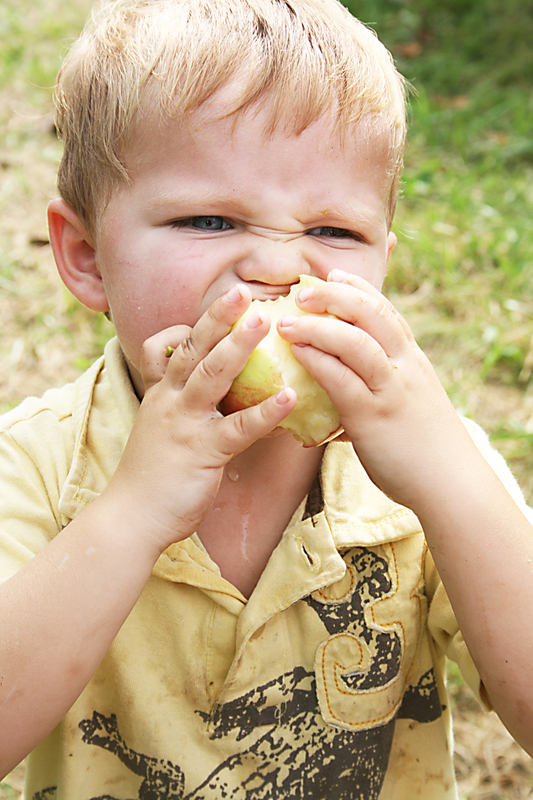 Homemade apple sauce is SO much better than store bought. 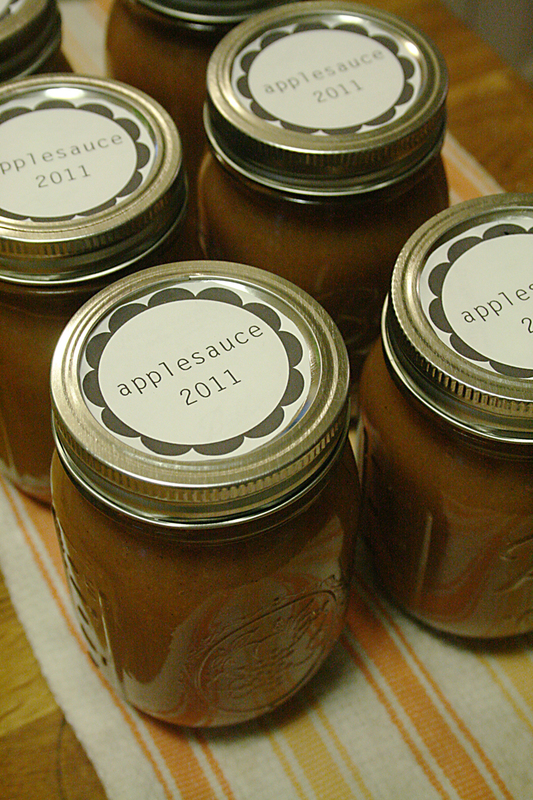 You can find my applesauce recipe here. And in addition to the applesauce, I made four apple pies to freeze and cook at a later date. I did this last year and it was so nice to have a supply of homemade apple pies to give away or use at Thanksgiving or as a dessert when guests come over. 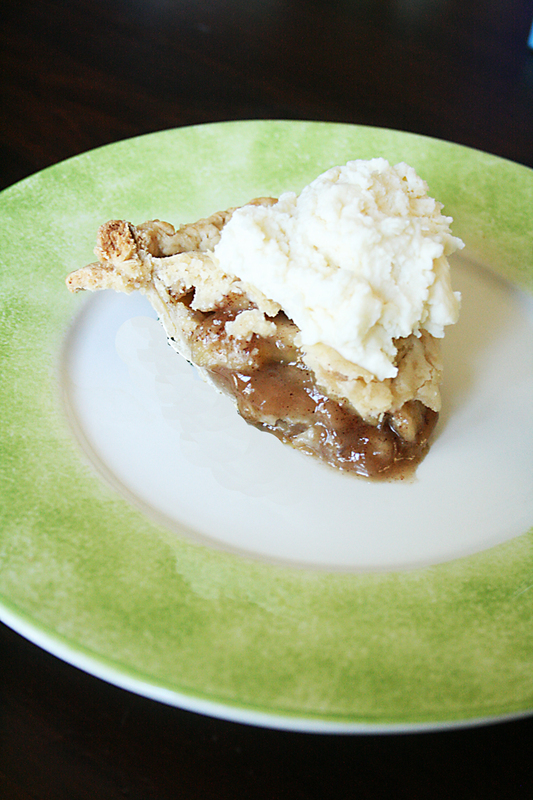 So here is the apple pie recipe that I use and that can be frozen. It’s really easy to make and easy to double or triple the recipe. Line pie crust into a 9-inch pie plate. Toss together apple and lemon juice in a large bowl. Combine brown sugar and next 4 ingredients; sprinkle over apple mixture, and toss to coat. Spoon into prepared pie crust. Place remaining pie crust over filling. Fold edges under, and crimp; cut slits in top for steam to escape. Bak at 450 degrees for 10 minutes. Reduce oven temperature to 350 degrees and bake 35 minutes. 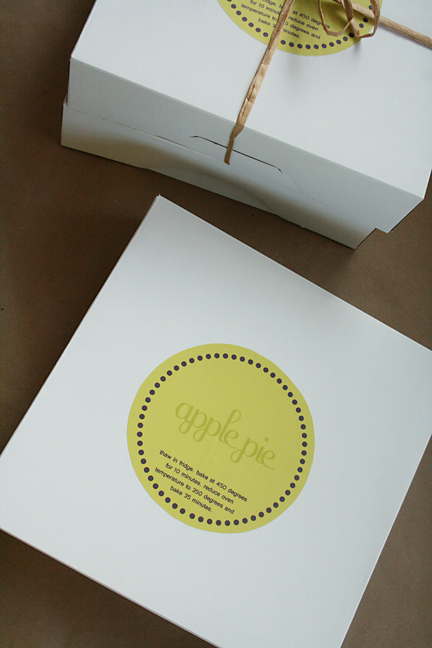 And if you’d like to freeze the pies, you can see my previous post on where I get the white boxes and how to store. 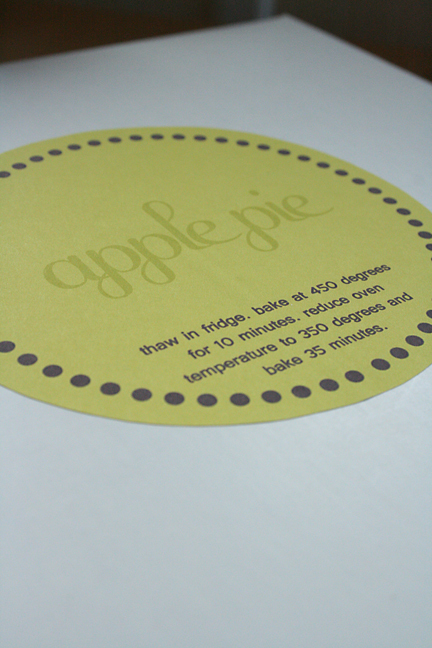 And I am now including the pie label as a FREE download so you can make your homemade apple pie cute and personal.